As a Kokanee angler I’m always on the hunt for water bodies that offer elite Kokanee fishing. In British Columbia we don’t have to look too far. 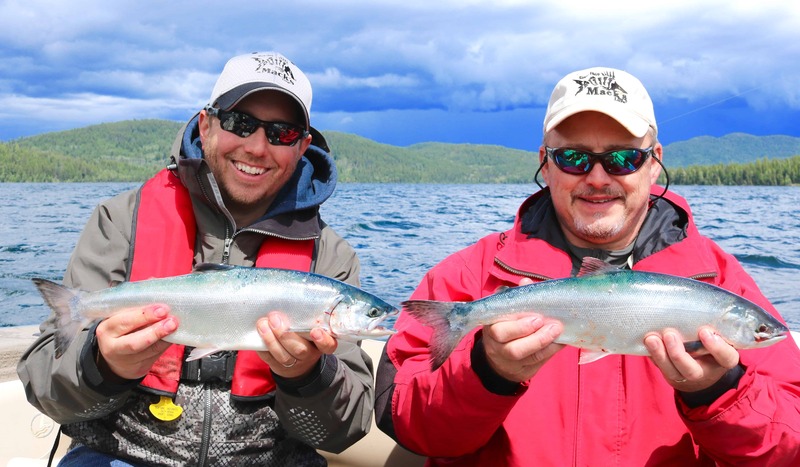 The BC Cariboo Region is home to over 30 plus lakes that offer outstanding Kokanee fishing, but the 2 lakes that outshine them all are Bridge and Deka Lake. 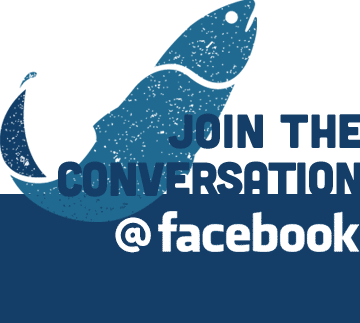 Over the past 20 years the Freshwater Fisheries Society of BC (FFSBC) along with the Ministry has stocked close to 14 million Kokanee in the Cariboo Region which has now grown into a reputable world class Kokanee fishery! For years I’ve wanted to explore these lakes to discover for myself if the tales of these lakes do actually indeed meet up to these expectation. Needless to say, I was not let down as my expectations were fully exceeded. 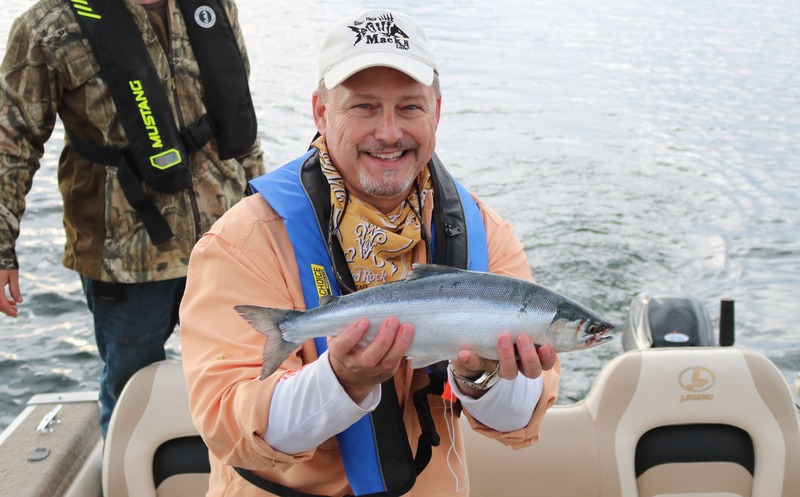 In my own opinion and as an experienced dedicated Kokanee angler, the Kokanee found in the Cariboo region are like no other. 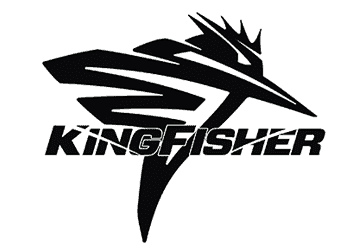 The fish are very aggressive in nature and deliver aerobatic-tale walking fights when hooked. The water temperatures are much cooler but yet an abundance of forage is available for these fish which make for a healthy stock. The fish found in these lakes aren’t so long in length as they are fat in girth and wide in the shoulders. The colours of these fish are blue back silver that are second to none. The best way I can explain it is that these Kokanee are the Rocky Balboa’s of the Kokanee world! Bridge and Deka Lake are found in the heart of the BC Cariboo next to the quant community of Lone Butte, which is only a quick 2 hour drive north of Kamloops. The Lone Butte community offers hospitality like no other as they are very welcoming to visitors. 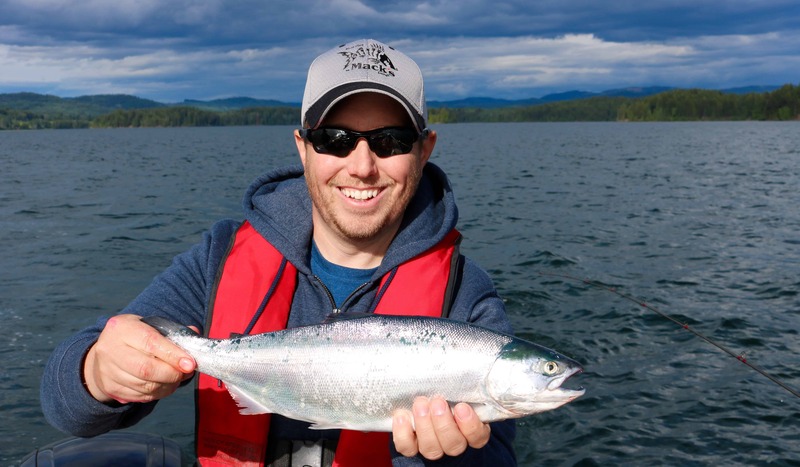 Fishing these northern – higher elevation lakes can be much different than pursuing Kokanee in your traditional warmer water bodies found in southern BC and the Pacific Northwest regions. The average weather temperatures in the Cariboo are much less than say the Okanagan or Lower Mainland areas. The water temperatures reflect the cooler weather and are much colder allowing Kokanee to cruise easily throughout the water column of the lakes. Majority of the fishing season except for the July to September, the fish won’t be found stacked up within a tight thermocline of water. In late June the upper mixed layer of the lake can be less than 60F. This means the Kokanee are comfortable to cruise at their own leisure in a range of depths due to the water being less stratified. The important thing to note when fishing these lakes is that the Kokanee are still Kokanee and have the same needs. Just like any other salmon species they require food while trying to expend the least amount of energy as possible. The main diet of these Cariboo Kokanee is still Zooplankton, but they will forage upon small insect hatches when the opportunity presents itself. It’s not abnormal to catch a Kokanee that has been devouring chironomids. During my experience fishing these lakes the Kokanee are not consistently found in the predictable mid water column sections of the lake. These fish will move from being suspended over deep water to hold within currents and wind seems off points and other pieces of structure. Sometimes they will even be found hugging the bottom in 65 feet of water feeding on a deep water chironomid hatch. When approaching these lakes it’s vital to pay attention to environmental conditions. If the wind is pushing strong to the south end of the lake against a point, look for the seam in the water that is generated by the piece of structure. These seams can also be created by 2 different directions of winds meeting in the middle of the lake. Food will be pushed together in these zones and the Kokanee will hold in this vicinity. The best way to identify these seams is that the surface will appear to be smooth of waves or a line of foam will be found. Trusting your electronics is very important when fishing these lakes. There will be times that fish will not mark on the sonar no matter how much water is covered. This is a tell tail sign that the fish are holding in the upper 20 feet of water. As the boat cruises over top of the fish the Kokanee will push off to the side before the sonar cone can pick them up. When this happens it’s important to run setbacks on your gear at a minimum of 100 feet behind the boat. Using side planers will also put the odds in your favour. These Cariboo Kokanee do seem to be very boat shy. If the fish are found on the surface be sure not to use heavy tackle such as large metal gang trolls that will sink under the fish. If you’re going to make the trip to these lakes I recommend coming prepared with an assortment of tackle. These fish can be extremely fickle in their selection. One moment they will hit a pink hoochie then minutes later you can’t buy a bite with the same lure, but then a small UV spoon will work. The same goes for trolling speeds and lure actions. The fish will hit at 1.4mph troll then they will change to a faster reaction hit at a 1.8mph troll. 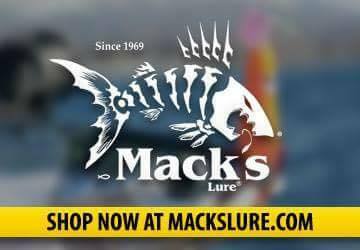 Keeping this in mind using a “tune-able” dodger like the Mack’s Lure UV Sling Blade Dodger works incredibly well as you can bend the dodger to adapt to a variety of trolling speeds and levels of action. We found the 4 inch UV Sling Blades to produce best. 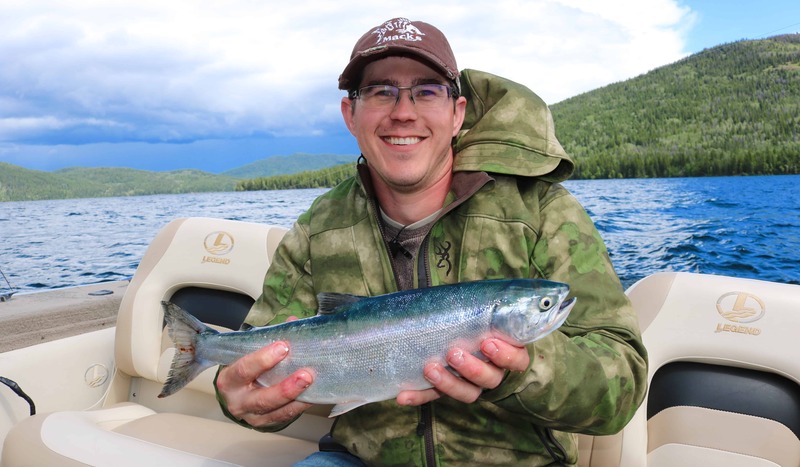 There is a high predation rate in these lakes due to an abundance of Lake Trout, so keeping your dodger profile small will avoid mimicking a threat to the Kokanee. 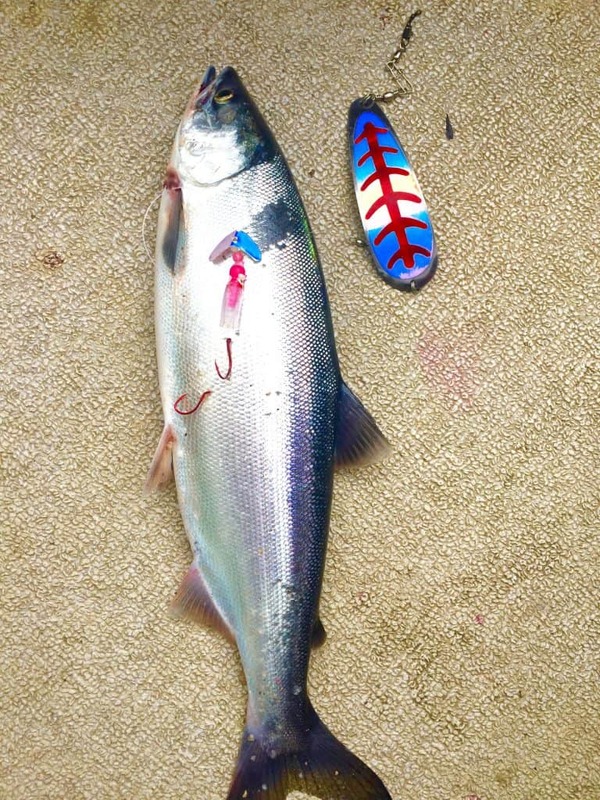 Tying short 8 to 10 inch leaders when the water temp is greater than 50F will increase your hook up ratio as these larger Kokanee tend to like more of an aggressive presentation. Humdinger Spoons in UV Blue & Silver, Purple and Pink – tied with short 8 inch leaders are dynamite! In the spring periods using live pink maggots is a local favorite and they do produce results, especially when the Kokanee are feeding in on insect hatches. As the water temp warms into mid-May switching to baits such as cured & dyed krill or white shoepeg corn is extremely effective. 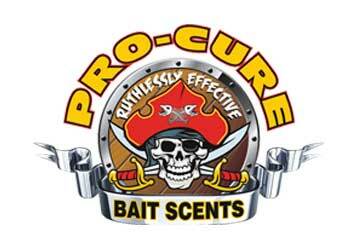 Popular Pro-Cure scents for these lakes are Kokanee Super Sauce, Kokanee Special, Krill/Shrimp Gel, Krill Oil and Bloody Tuna Garlic. You can find these products and scents at Lone Butte Sporting Goods along Hwy 24, the perfect pit stop before hitting the lakes! Bridge Lake is a unique lake that offers an abundance of small islands and coves that make for excellent fishing hot spots. The surface area of the lake is 1371 hectares with a max depth of approx. 150 feet and the average mean depth averages around 55 feet. Over the past 10 years the lake has been stocked with over 1.3 Million Diploid Kokanee (130,000 average each year). There is a small provincial campground off of Hwy 24 that also provides a boat launch. The other access to the lake is the boat launch found off of Bell Road from Hwy 24, then connect onto Johnson Rd, the launch will be located on your right. Not only can you catch Kokanee in Bridge, but it offers fishing for Rainbow Trout that can reach 5lbs + and Lake Trout that can push over 20lbs! Hot spots on this lake are the north side of the island in the about 70 to 90 feet of water right along the ledges. Trolling perpendicular to the sun in the mornings and later afternoons will help produce enough flash to attract cruising fish from a far. Feed can also gather within the small coves in 50+ feet of water and Kokanee will hold in these areas. Be sure to keep an eye on depths on this lake as there are many shoals that quickly shoot out into the lake. Deka Lake is really broken up into 2 sections as referred to by the locals, Big Deka and Little Deka. The area in which you launch from is Little Deka. The 2 sections of the lake are connected by a narrow channel that is only a few feet deep of water. This channel is marked off with marker buoys to aid in boat navigation; follow the markers and you’ll be fine to pass through. All of Deka Lake’s surface area is 1153 hectares with a max depth of approx. 300 feet and the average mean depth is 70 feet. The deepest portions of the lake can be found in the Big Deka section of the lake. Little Deka has numerous cottage like homes that hug the lake where as Big Deka has one small private camp at the north end. The large section of the lake cannot be accessed by vehicle, only by boat. There are a variety of small boat launches that can be found along the shoreline of the Little Deka section of the lake. Be very cautious on weather and winds when pursuing Big Deka as winds can pick up very quickly. Lower powered boats can have challenges in poor weather as there is very few areas on the lake to get out of the winds. Little Deka is an excellent option for smaller boats. The lake is managed as one fishery. 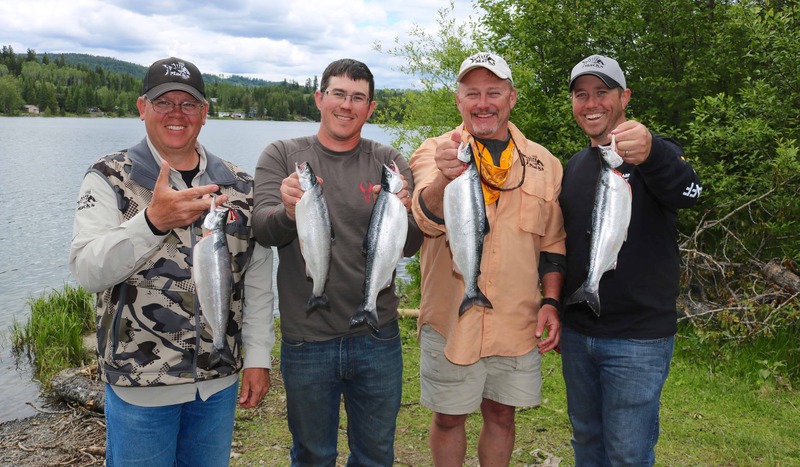 The FFSBC & Ministry have stocked over 1.5 Million Kokanee in the past 10 years in Deka Lake. (Recent average of 135,000 Kokanee per year) The lake was once stocked with triploids but now primarily diploid Kokanee are stocked. There is no established camping site along this lake but there are many other accommodations nearby such as Hathaway Lake Resort which is only a couple minutes away. Little Deka Lake seems to produce fish a bit smaller fish than Big Deka, however the average size is still pushing 2lbs +. Big Deka is known for producing Kokanee over 4lbs! The average size fish in Big Deka is around 2.5lbs+, but it’s not uncommon to hook into multiple 3lbs fish as part of your daily limit. Fishing hot spots on Little Deka are near the coves on the north end of the lake in the pocket of 70 feet of water just before you head up the channel to the upper section of the lake. Areas on Big Deka that can produce nice fish are along the points and ledges of the north end of the lake. That being said, we’ve found Kokanee throughout the lake so some hunting is required to track down the bigger fish. Fishing the Cariboo Region of BC is a very surreal experience! You literally have hundreds of lakes to choose from that offer incredible fishing opportunities. The biggest challenge that you will be faced with is deciding which lake to fish. 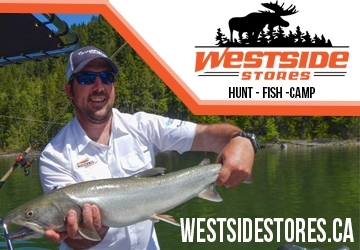 To get the most up-to-date Cariboo fishing reports and to acquire all the latest Kokanee gear be sure to stop by and visit Mark Roseboom at Lone Butte Sporting Goods/Lone Butte Fishing Adventures. 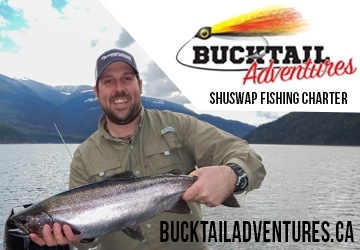 Mark has over 10 years of experience fishing the Cariboo region. 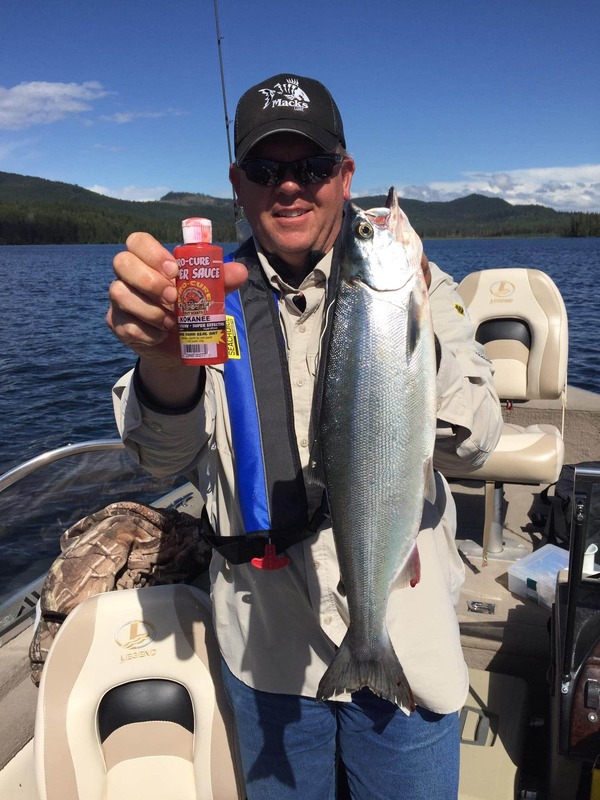 If anyone can point you in the right direction and get you equipped with the precise Kokanee tackle, it’s Mark! Or even better yet, hire Mark as a guide for a day. He will assist you in catching a Kokanee of a lifetime! Check out Lone Butte Sporting Goods website for more information.